There are certain things which every kitchen needs, most of which you will probably have already. 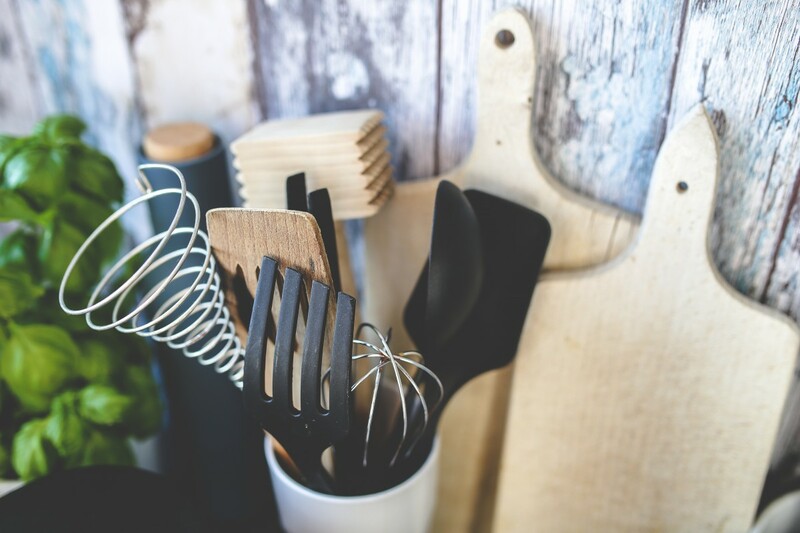 Besides the obvious (kettle, oven, pots and pans etc), these are a few of the things which I cannot do without when cooking up anything from a family feast to just making breakfast! Blender – A blender might be the most used thing in my kitchen. From making soups to smoothie bowls to condiments it makes life so much easier. It doesn’t really matter which type you get as long as it is not the cheapest in the shop. Personally I love the jug blenders that can easily smash through frozen things. Scales – A good set of scales is a must. Go for a digital set over manual so that you can really be precise with your measurements. A lot easier when you need small amounts of something like yeast for baking. Measuring scoops – I never saw the use of measuring scoops until I actually got a set. Life is so much quicker! Especially when you are making simple things like overnight oats the night before. Juicer – Nothing fancy needed here, just a £2 plastic thing to juice your limes, lemons and oranges. Nobody got time to be picking out the pips. Garlic Press – Not everyone has the best knife skills and can dice up a garlic clove into tiny peices. A nice cheap garlic press will save you a lot of time and you fingers! Tupperware – Now this might sound like an obvious one but you can never have enough Tupperware tubs. Pic them p when you can and that way you can store soups and fruit in your freezer and pre make a weeks worth of lunches for work.